For those that don’t know, eBay is one of the biggest consumer to consumer online auction and shopping site in the world. eBay is open to almost anyone that wants to buy something new or used and anyone who wants to sell something new or used. The limitations are endless, with few exceptions. The only requirement for a buyer is to have a physical shipping address and a credit card or PayPal account. For sellers there is only three more additional requirements and that is product, paypal account and a credit card linked to eBay for billing.. Its up to the sellers discretion if the product he or she is selling is new, used, working or not. Startup sellers are only allowed to list items in a Action format with Buy it Now option. They are subject to 10% fee from item final price and shipping and handling cost collected and 2.9% + $0.30 of the total amount received by the seller. At first glance this does not seem to be a lot but it is. One item sold on eBay comes to 13% deduction. This means if you sold something for $50 you will only end up with $43.50. This is not bad if the item you sold had no value to you or you got it for free. If you had to purchase that item for resale than 13% is usually your income percentage from a item. There are millions of sellers and buyers on eBay so the competition is stiff. It is easy to make profit if you are trying to sell something you no longer need or you got something for free. But if you are trying to make a living of eBay than its another ball game. eBay however made some progress to help volume sellers by reducing sellers fees and giving them more option in selling. IF you have been selling for a while and you managed to sell over one hundred items which generated over $1,000 in sales in one year that eBay has given you a option to open a eBay store. The store is intended for volume sales and by doing that you are eligible for a slightly lower sales fee rate. To open a eBay store is not free. The basic store starts from $19.95 per month all the way to $199.95 per month, and they each have their own requirements. By opening your own eBay store you are able to reduce final sale fee that’s normally 10% to lower rate that varies from 4%-9% depending on what type of item you are selling. If you sell few items per month than a store is not for you. 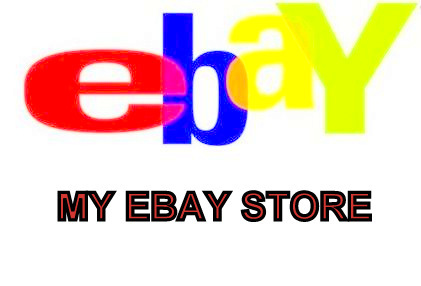 If you have a huge inventory then eBay store might be for you. Because it cost $19.95 per month to have a store means that you have to make more profit in order to offset the $19.95 fee from the 2%-6% in savings that you will get from having a store front. At the same time you will get few perks options that a normal seller will not have. Impression that you are a professional seller. 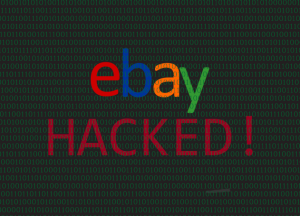 It is advised that in order to make your eBay store profitable you will need to have at least 50 items listed on eBay at all times and selling a at least 15 items per month with 15% profit margin in order to take advantage of the lower rates. If you don’t have that kind of inventory and are selling less then you would probably be better off with a regular account. Most importantly you need to make sure you have good feedback rating as this can lower your profit dramatically. IF you think that you can handle larger volume you can try Basic store to see if it is right for you.